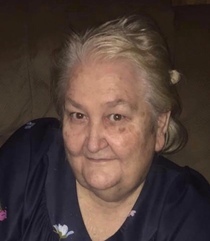 Obituary for SHIRLEY ANN (HOLLOWAY) SLATTON | Whitwell Memorial Funeral Home, Inc.
Whitwell Memorial Funeral Home, Inc.
Slatton, Shirley, Shirley Ann Holloway Slatton age 76 of Whitwell, passed away Monday, November 26, 2018. She was preceded in death by her parents, Robert Holloway and Odell Kilgore; niece, Lynn Watts. Those left to cherish her memories are her husband of 41 years, Samuel Dee Slatton; children, Mary Kilgore, Susie (Charles Baker) Campbell, Jimmy “Jim Bob” Higgins, Connie (DeWayne) Roberson of Whitwell, Sindy (Roger) Rich of Stevenson, AL, Terry Slatton of Jasper, Anita (Milton) Stewart of Signal Mtn; sisters, Bobbie Stozicki of Dunlap, Carol Kilgore of Sequatchie, Debbie Higgins of Whitwell, Carolyn (Mark) Nunley of Jasper; brothers, Pete (Janice) Watts, Eddie (Dale) Watts of Whitwell, Don Watts, Michael (Wanda) Higgins of Sequatchie, Steve Higgins of Whitwell; fourteen grandchildren, Michael, Misty, Samuel, Crystal, Dakota, Cole, Thomas, Robert, Justin, Brooke, Angel, Trevor, Tyler, Destiny; sixteen great grandchildren, Damion, Dawson, Dylan, Dakota, Dustin, Devann, Jacob, Sarah, Sonny, Bethany, Britney, Bailey, Jansen, Mason, Brynlee, & Brooklyn; several nieces, nephews and a host of friends. Family will receive friends, 3-8PM, Wednesday, November 28, 2018. Funeral services will be at 11AM, Thursday, November 29, 2018 in the funeral home chapel with Rev. Michael Shrum officiating. Interment at Red Hill Cemetery. Arrangements by Whitwell Memorial Funeral Home, Inc. (423)658-7777.